Earlier this month a US Missionary, John Chau, was reportedly killed by a remote tribe in the Andaman Islands, where he had travelled to in the hope of converting them to Christianity. Chau’s family see him as an evangelical adventurer who risked his life to spread Christianity. In reality, however, he risked the extinction of an ancient society in order to try and ‘civilise’ them. No, Chau was not a modern Jesus, he was a 21st century crusader. 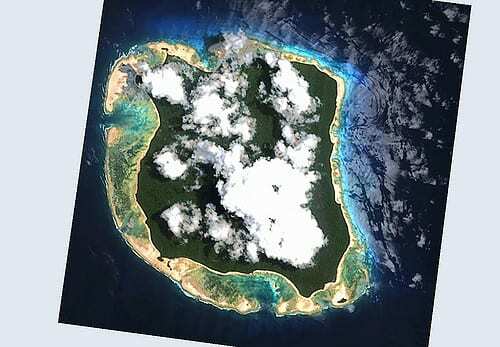 The Sentinelese are the indigenous population of the North Sentinel Island in the Bay of Bengal. They have lived there for around 55,000 years and could have a population of anywhere between 40 and 500 individuals. An isolated population, they lack immunity to common viruses, and could be wiped out by something as simple as influenza. Unsurprisingly therefore, it is illegal to make contact with them. Chau was so devoted to his cause that he travelled to India and broke the law by entering forbidden territory, to introduce a 2,000 year-old religion to a 55,000 year-old tribe. Religious people often see themselves as above the law, preferring to follow their idea of ‘God’s law’, but in doing so Chau attempted something unforgivable. He could have eradicated the protected Sentinelese with foreign bacteria. Whilst some tribes have made contact with outsiders, most have resisted attempts to strip them of their identity. There have been attempts by Indian politicians to integrate and ‘civilise’ the indigenous tribes of India’s islands, which is ironic given India’s history of British colonisation. The Sentinelese have remained hostile to outsiders and have killed invaders previously. The Sentinelese are therefore more fortunate than the Jarawa, a tribe who were forced into a human safari. Their land was colonised by India, and they became a public attraction, which is far more sinister and insidious. India’s government state that the ‘safari’ should be closed, but it remains open. This means the Jarawa remain at risk — like many tribes, members of the Jarawa perished because of a measles outbreak, the women have faced sexual abuse, and poachers enter their rich forest reserve to take what the tribe needs to survive. Chau’s mission is a perfect example of contemporary colonisation, an attempt to ‘civilise’ a tribe who have been living happily for 55 millenniums. He took on the so-called ‘white man’s burden’ to save these people from themselves. The Sentinelese may have appeared rather backwards and uncivilised to Chau’s eyes. But regardless, they appear to be happy, and they clearly did not want his foreign intervention. They have survived this long without Christianity and western ideals, provided foreign peoples stay away, and they should survive for many more. Non-profit organisation International Christian Concern wants the tribe charged with murder and even brought up India’s ‘history’ of attacks on Christian missionaries to paint Chau’s death as an act of religious persecution. And although Chau’s family have forgiven his killers, Chau’s death should not be treated as murder — some may see it as self-defence but I see it as suicide by stupidity. Chau wanted to bring Jesus to the Sentinelese. Instead, the Sentinelese sent Chau to Jesus.